Why Invest in Silver Coins? Home » Investing Resources » Silver Resources » Why Invest in Silver Coins? Now more than ever, silver coins are a smart investment for those who are planning for their future. ➜ I want to protect my savings from market volatility. How can I do that? ➜ I’m ready to invest in silver. Where do I start? Due to the limited availability of newly mined silver, combined with the continued uncertainty of the global economy, the value of silver has reached historic highs over the last few years, and many analysts expect the price to continue its steady climb for many years to come. If you are thinking seriously about your financial future or your retirement planning, now is the time to consider the many advantages of precious metals, such as silver, gold, platinum and palladium. During the Great Recession and its aftermath, many people saw their traditional investment accounts plummet. Even the so-called “low-risk” mutual funds and bonds were hit hard by these far-ranging economic factors. ➜ Investors of all levels of experience lost thousands of dollars when stocks tanked. ➜ Many Americans who had been investing in traditional retirement accounts were forced to postpone retirement. ➜ Stocks dipped at the release of virtually any economic news, as well as many other external factors that investors had no control over. ➜ Even those who were already retired and living off a fixed income from their retirement accounts were forced to suddenly re-evaluate how they would provide for themselves and their families. Unfortunately, even as markets have improved alongside the recovering U.S. economy, a lot of uncertainty remains. This is one of the primary reasons why many people are now swapping their old, riskier strategies for investments in silver coins, gold bullion and IRAs backed by precious metals. By purchasing silver, you are diversifying your portfolio, which is perhaps the single most important step to protecting your nest egg. By placing all of your eggs in one basket, such as mutual funds, you are opening yourself up to risks of market decline. When entire markets plummet, as they have in the past, the value of your retirement drops considerably – virtually at the drop of a hat. Silver coins, however, have increased in value as other markets have declined, enabling investors to not only preserve their wealth, but also grow it. How much can silver coins really be worth? With so much attention focused on gold in recent years, many inexperienced buyers of precious metals often overlook the value and potential of silver. But, just to give you an idea of its potential, consider this example. If you had invested $100,000 in silver in 2002, just 10 years later it would have been worth over $600,000. Now, compare that to the same investment in an S&P index fund. A $100,000 investment in such a fund would have given you less than $120,000. Think we’ve reached a bubble? Think again. The demand for silver continues to skyrocket, especially in the growing medical and industrial sectors. Yet, the supply of silver continues to diminish. For this reason, investors believe more huge gains are still to come. Even if you take an extremely conservative approach, and remove the potential for growth, just for the sake of analysis, silver coins still provide the advantage of being a tangible liquid asset that can protect your savings from the uncertainty of other markets. A precious metals IRA is a retirement account backed by investments in physical gold or silver. It provides the tax benefits of a traditional retirement account, but without risky investments in the traditional markets that have been so volatile over the last few years. If you are looking to preserve your wealth, protect your savings, and have peace of mind about your retirement strategy, then a precious metals-backed IRA could be the perfect fit. As a liquid asset, silver bullion is another great option for protecting your savings – for all the same reasons covered above: diversification of your portfolio, protection against stock market decline, potential growth and even as a hedge against inflation. Like gold, silver bullion gets it value primarily from its weight and content of silver. An example of silver coin bullion is the American Silver Eagle, which is 1 oz. of 99.9% pure silver. Numismatic silver coins are those minted prior to the Gold Confiscation Order of 1933. These coins can carry even greater growth potential over time as their value is determined by not just their precious metal content, but also their mint date and scarcity. 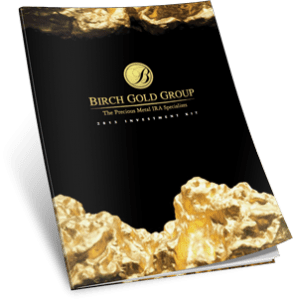 To learn more about the advantages of investing in silver coins or other precious metals, contact Birch Gold Group today for more information. 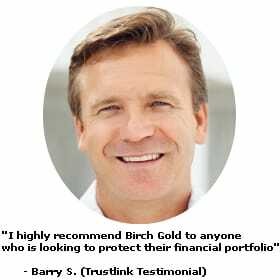 Birch Gold Group maintains an A+ rating with the Better Business Bureau, and our experienced precious metals specialists are happy to go over all of your options. We pride ourselves on educating our clients on the best strategies for their needs, and we achieve this through careful planning and knowledge of our industry – not high-pressure sales tactics. Call us today at (800)355-2116 or fill out the form on this page to learn more about investing in silver.